The Promax SL is a regular gas boiler. It’s a condensing and wall mounted unit that has been designed and manufactured by Potterton. It comes with a wide range of features and options to make it an extremely reliable boiler. It has an output rating of 15 kW and an efficiency rating of 89.4% making it a B rated unit. This boiler also comes with the best N0x class of 5. It is also available in other outputs such as the 12kW, 15kW, 18kW and 24kW making this range able to fit in just about any sized home! 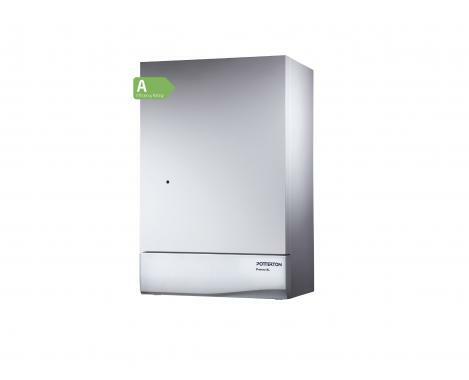 This is an extremely compact boiler, with it being able to fit in a standard sized cupboard, and since it is also a lightweight unit it can help you save time and money on the installation. It also features a wide range of other parts to the boiler to allow for a quick installation time, such as a simple mounting plate, a pre plumbing jig and no pump overrun. This boiler is compatible with the Megaflo eco solar cylinders and when installed with this you can be sure you are going to save even more money on your energy bills! This boiler is available with 2 years warranty!